Theon being reborn through the Drowned God; Clarence dying by drowning. Images: On left © HBO and on right Cassell’s History Vol 2. In many ways, Theon Greyjoy’s story mirrors that of George Plantagenet, Duke of Clarence – who betrayed his brother, King Edward IV, to align with his father-in-law, Richard Neville (Earl of Warwick). Given that historian John Ashdown-Hill recently released the first new book on George in 34 years, now is a good time to compare Theon and George. Although Game of Thrones is by no means an allegory for the Wars of the Roses or its only inspiration, George RR Martin often chooses to mirror, factually or counterfactually, some of its most important events. George’s impact on Edward IV’s reign was enormous, albeit often under examined by historians. Not only did Edward ultimately decide to execute his own brother, but George’s alliance with Warwick nearly cost Edward his throne in an event known as the Readeption. In Game of Thrones, Martin recreates one of the most harrowing aspects of the Readeption – the choice between a father and a brother. War separated both boys from their fathers at young ages. After Theon’s father, Balon Greyjoy, rebelled against King Robert Baratheon and lost, the ten-year old Theon had to leave his father to go live with Ned Stark. After George’s father, Richard of York, rebelled against Henry VI and lost the Battle of Wakefield (1460), George lost his father at age eleven. Both of Theon’s elder brothers (Victarion and Maron) died during the rebellion. George’s middle brother, Edmund of Rutland, was killed in the aftermath of the Battle of Wakefield. Soon after these losses, Theon and George – both third living sons1 — became their family’s heirs. Robb Stark and Theon Greyjoy have parallels with Edward IV and George, Duke of Clarence. Image: © HBO linked via Wikia. Both Theon and George were hostages due to their father’s actions. After Richard of York lost at the Battle of Ludford Bridge in 1459, he abandoned his army and fled to Ireland, fearing for his life. His wife, Cecily, and her children, including George, became hostages of the king. They were taken prisoner and hauled off to Coventry, and then sent to reside with Cecily’s sister, Anne Neville, in an effort to ensure Richard of York’s good behavior2 . Theon became a hostage after his father’s failed rebellion against the Iron Throne. For Balon Greyjoy to remain Lord of the Iron Islands, he had to send Theon to Ned Stark as assurance he would not rebel again. 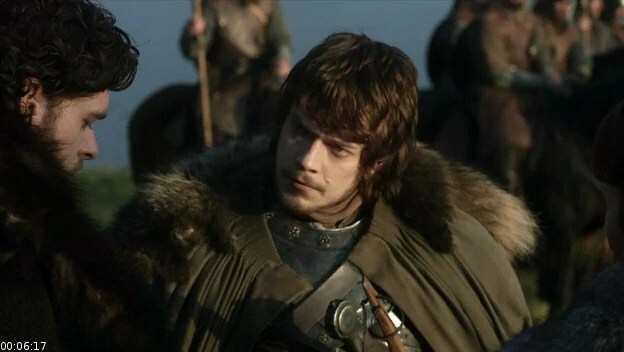 The most important similarity, at least the one Martin highlights the most, is the agonizing choice Theon and George had to make – align with your brother or “father.” Theon had to choose between Robb Stark (his figurative brother) and Baylor Greyjoy (his literal, but emotionally absent, father). Ultimately, both Theon and George choose unwisely to betray their brothers. When Theon’s father refused to support Robb, Theon suddenly had to choose between Robb, the “brother” to whom he had sworn allegiance, and Balon Greyjoy, the man he wanted to become his father once more. Long-festering resentment towards his higher status “brother” and ambition to regain his birthright pushed Theon to break his oath and side with his father – with disastrous consequences. The consequences of betrayal were also high for Theon’s possible real-life inspiration, George. Theon swears an oath of fealty to Robb Stark. © HBO. Linked via Wikia. Ultimately, George decided to return to Edward’s side. The two brothers made a great show of reconciliation: Edward desperately needed George’s men to win. To gain George’s support, Edward had to promise him specific lands and inheritances.3 On George’s part, he had to fight against his father-in-law, whom his men killed. Regardless of George’s feelings for Warwick, he’d still have to face his wife after killing her father. George was likely drowned in a vat of Malmsey wine, but not until after a nearly decade long decline in his power.4 While George suffered a quite literal death, Theon may have suffered a metaphorical one. In the moral hierarchy of the Game of Thrones world, nothing is more heinous than oath-breaking and disloyalty. The Game of Thrones universe punishes these “sins” the most harshly. We don’t yet know Theon’s ultimate fate – even in the books. 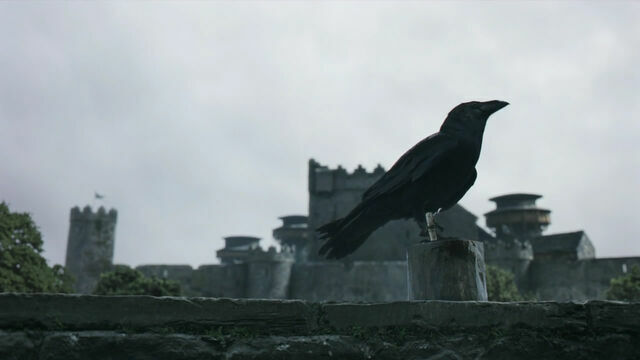 So far, on the show, however, Theon’s fate is a living death. Theon begs Ramsay Snow to kill him to no avail. Ramsay subjects Theon to unthinkable torture, including castrating and flaying him. Ramsay also humiliated, mutilated, and stripped Theon of his identity. Ramsay even forces Theon to adopt a new name: Reek. Interestingly, drowning is a theme in the lives of both George and Theon. While George reputedly died by drowning, Theon is “reborn” by being baptized in the name of the Drowned God. So far, Theon remains alive and has not shared George’s fate. However, betraying a brother, like George did, set Theon on an irrevocable course. Perhaps, drowning is a metaphor for Theon’s emotional journey. He had to drown, or sublimate, his feelings for his brother to honor a father who ultimately betrayed him. Quick question. You mention that George became his family’s heir. How would this have been possible if Edward was the older brother? Is it because Edward became king and no longer needed to claim his fathers inheritance? Now that you say that, I realize I wrote imprecisely. What I meant was that — before Edward IV had children – the Yorks pinned all their hopes on Clarence. If Edward died without children, the York estates *and* the crown would go to George. Poor sweet Gilly is one of Craster’s wives, the disgusting polygamous quarrelsome man north of the wall who marries his daughters. Samwell Tarly befriends Gilly and rescues her after she delivers a would-have-been-sacrificed baby boy. Gilly mentions the origin of her name in passing: “Gilly” stems (no pun intended) from the gillyflower, which is the old-fashioned name Chaucer, Shakespeare, and others use for carnations.